The oil and gas industries rely on miles and miles of pipelines. These might be in refineries, offshore and onshore platforms, as well as power plants. Many of these pipelines are exposed to the harshest elements in subsea or offshore environments – wave movement, corrosive salt water, and wind – as well as transporting vast amounts of materials that are valuable and potentially hazardous the environment. Unsurprisingly, pipe corrosion is a very serious issue for the oil and gas sector. In the worst case scenario corrosion could lead to emissions or petroleum leaks. 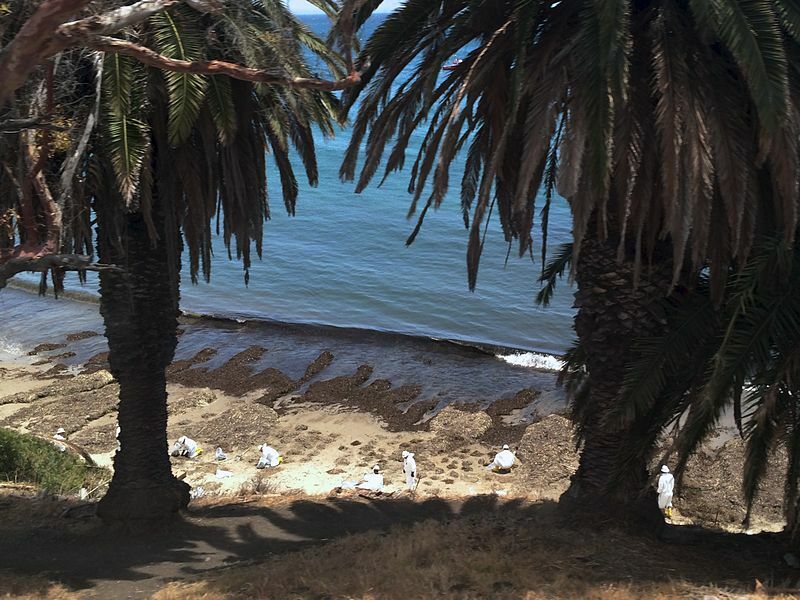 This is what happened in Santa Barbara, California in 2015. External pipeline corrosion on an underground pipe which transported crude oil from offshore platforms to another pipeline that transported the oil inland for processing caused 2,500 barrels of oil to be released. It coated 7 miles of coastline and damaged beaches up to 100 miles down the coast. The external corrosion caused a tiny breach in a large system. Being able to detect corrosion in pipes at an early enough stage to stop leaks is obviously crucial, but maintaining their operation is also important to ensure business operations are not impacted. Some corrosion can be ‘hidden’ under insulation materials on the outside of the pipe, or by the pipes being buried underground (as was the case in Santa Barbara). Some traditional inspection processes require shutting down the pipeline, or parts of it, for inspection. Shutting down industrial assets is not only costly to businesses, but for pipes in hard to reach areas (such as under the sea) it is also very difficult. Even if it doesn’t require a reduction in operation, so-called ‘blind’ inspections still take a long time – and for a large system of perhaps 100s of miles of pipes, this is a vast and ongoing maintenance task. At Cranfield we are developing a new sensor, ‘Corrosion Radar’, which could reduce the risks of corroded pipelines through remote sensing. The patent pending sensor is a ‘waveguide’ in the form of a thin flexible cord that is permanently installed along a pipe. 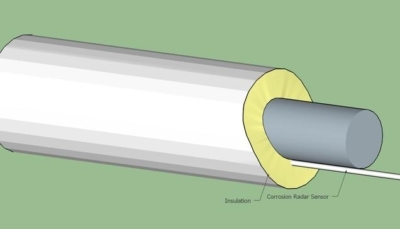 It chemically reacts to the corrosive environment around it, and uses algorithms to find the location of corrosion on the external surface of the pipe. The sensors take readings periodically, and can then be collected and reviewed. Corrosion across a vast and complex system can then be monitored from a central control room. This vastly reduces the time and expense of inspecting pipes manually. Maintenance teams can be directed to the precise location of the corroded pipe – and rather than it being a ‘blind’ inspection, they know exactly what they are looking for. This is a game changer for the energy sector – but it can also be used in other areas too, for example in water utilities, or any business with buried or insulted pipes and storage tanks. 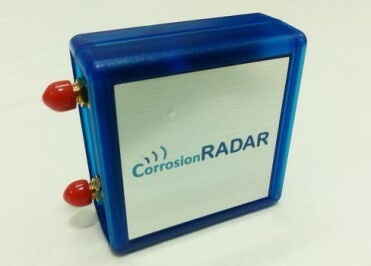 And, the team behind Corrosion Radar are continuing to research ways in which innovation and engineering can help to solve the problems facing the sector: increased online monitoring, for example, as well as developing algorithms which can not only tell if corrosion or moisture are present, but actually quantify how severe these are. Corrosion Radar has the potential to stop the problems that arise from corrosion – perhaps even preventing an oil spill in the future. It protects our pipes as well as the environment. 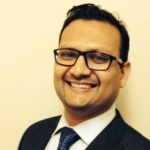 Prafull Sharma is a doctoral researcher at Cranfield University. He is an experienced technologist and inventor with a focus on sensing technologies for energy sector.